When we experience great disasters or suffering, the natural question that is often asked is, "If God really does exist and if He has the power to prevent these evil things from happening, why doesn't He step in?" For example, why didn't he prevent that devastating tsunami in Japan? Where was He when all those people in the South Carolina church were shot? Why didn't He prevent terrorists from killing all those innocent people on 9/11? And why are there times when God doesn't heal our loved ones? Doesn't God care about us? Is He too busy to get involved in our troubles? These are legitimate questions with which every Christian must wrestle. When they go unanswered, that silence can lead people to question His existence or that He even cares about us at all, which has been the case for thousands of years. Well, there is an answer! And it's a wonderful and comforting one. It's interesting that when we look into the Scriptures for an answer, we find that this seeming indifference happens because God intentionally hides Himself, told to us by the prophet Isaiah (Isaiah 45:15). Let's look back on the story of Job. He was a very wealthy man who lived almost 3,000 years ago. Job was "the greatest of all the men of the east." (Job 1:3) Job owned 7,000 sheep, 3,000 camels, 500 oxen, 500 donkeys and many servants. He had 10 children, and they were a very close family. Job was also a very righteous man who turned away from evil. He endeavored to please God in all areas of his life and did his best to make sure that his children also did right in the eyes of God. Notice his dignity. He doesn't curse. He doesn't scream. He sorrows and worships God. And in all of this he did not blame God. When terrible things happen, we too should not blame God. The Bible tells us that He is a God of peace, that He is never the creator of evil. 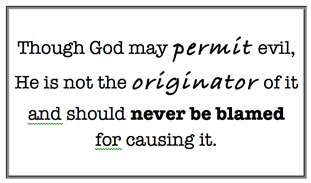 Though He may permit it, as He did in Job's case, He is not the originator of it and should never be blamed for causing it. Things continue to get even worse for Job. Satan then struck Job with painful boils all over his body. To this his wife said to him, "Do you still hold fast your integrity? Curse God and die!' But he replied, 'You speak as one of the foolish women speaks. Shall we indeed accept good from God and not accept adversity?' In all of this, Job did not sin with his lips." Job 2:7-10. The word "integrity" is used again in this verse. It's the same word that God had used to describe Job. 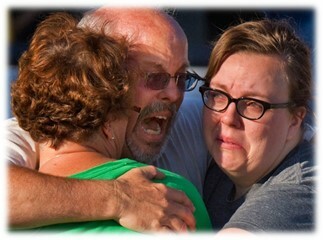 Even his angry wife could see the integrity in Job's heart. After much personal suffering, his wife's angry advice and then being accused by his friends that he must have done something wrong in order for God to allow these things, Job finally pleaded to God begging for answers. He was a righteous man and worked to please God, so why, he cried out, would God be so cruel to him? And why wasn't God answering him? (Job 30:20-31). God finally answered Job over the course of almost four chapters (Job 38-41). 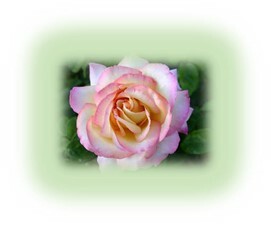 In essence, God tells Job that he does not have enough knowledge about who God is to question Him about his condition. God tells Job that if he really knew Him, he would know that there is a purpose in everything God does. 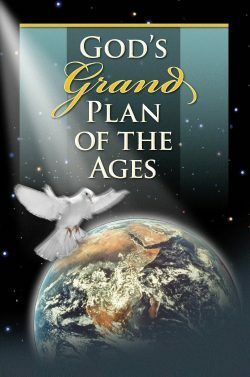 God went to great lengths in the creation of life and provided a place for Job to exist. Job's wife and comforters misled him without knowing the truth. So God tells Job not to question his motives, just know that He is all-powerful, and Job needs to have faith in Him. When we see or experience tragedy our first response may be sorrow, but in that sorrow we should also express our trust in a Creator that has our best interests at heart. And when we don't understand why He does or doesn't do something, we should remember that He knows what He's doing and good will eventually come out of everything, even tragic events. Despite Job's pleading for answers, God was not angry with Job. In fact God restores all his possessions two-fold and blesses him with another 10 children because never once did He curse God. But this is not where our story ends. Although it is an important lesson, we have a better answer then to just blindly "trust the Lord." This is because we have the New Testament that opens this subject in far greater detail than in Job's time. To Job, and many others, the mind of God remained a mystery. They were simply told to trust Him. The Apostle Paul says, "... So abundant was God's grace, the grace which He, the possessor of all wisdom and understanding, lavished upon us, when He made known to us the secret of His will. And this is in harmony with God's merciful purpose for the government of the world when the times are ripe for it – the purpose which He has cherished in His own mind of restoring the whole creation to find its one head in Christ; yea things in heaven and things on earth, to find their one head in him" Ephesians 1:7-10. The difference between what Paul says here and what God said to Job is that He told Job that he spoke without knowledge. But here, about 1,000 years after Job, Paul says that God has made known the secret of His will. 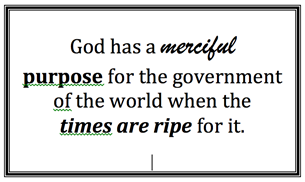 And that secret is that God has a "merciful purpose for the government of the world when the times are ripe for it." This phrase is important in relation to our question about God's seeming indifference. 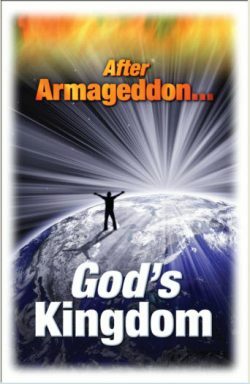 What we have been experiencing for the last 6,000 years of sin, death and suffering, has been our preparation for God's world government. In other words, there are things that we, as a race, must learn through these experiences that will prepare us for God's Kingdom. So then what do we learn from our tragedies, from our suffering and from death? What possible good can these accomplish? Solomon addressed this in Ecclesiastes 3:10 when he wrote, "I have seen the travail, which God hath given to the sons of men to be exercised in it." The purpose of exercise is to make us stronger, so the travail of this life is meant to make us stronger. When we look back at Job we can see how his experience would have made him stronger. Don't you think that he was a stronger believer in the integrity of God after all his experience with evil and then experiencing his restitution? He learned that no matter what the experiences of life might bring he could trust the Creator to have some grander purpose that would result in making him a better man. That lesson takes us all the way back to the Garden of Eden. Why did Adam and Eve eat of the one tree that God commanded them not to eat of? They ate because they didn't trust that God had their best interests at heart. They had Satan whispering in their ears that God was holding something back from them. Satan told Eve that if they ate of that tree they would become like God. She believed that deception and shared the forbidden fruit with Adam. But, like the beginning of Job, Adam and Eve were without knowledge. They didn't have the experience to know the consequences of disobedience. It's interesting that God gave the forbidden tree the name of "The Tree of the Knowledge of Good and Evil." He knew that Adam and Eve would eat from it and by experiencing the resulting sin and suffering they would gain that important knowledge. What better way to learn the difference between good and evil? Who could better learn the importance of trusting God than someone who has experienced the consequences of not trusting Him? That's what all our painful experiences are about. Mankind is learning a great lesson. For each of us, it's one that can be learned in no other way. 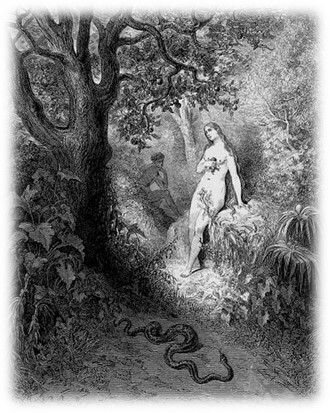 Job learned the consequences of original sin. People down through history have learned it, our world of today is learning it every time a plane falls from the sky, every time some deranged person picks up a gun and starts shooting, every time someone suffers from cancer, every time we attend a funeral. The consequences of sin and disobedience to God's laws bring only suffering. These are very difficult lessons and we cannot minimize the suffering that our world has endured because of disobedience to God. But as important as these lessons are, they would all be a waste of time if there wasn't more to it than God just showing us the consequences of sin. There's the other half of God's plan that most people are not aware of. Not only has He allowed sin and suffering, but He has planned a time of restitution for all of creation. Paul says that this part of His plan has been cherished by God, and that restitution will be in the form of a government headed by Christ, one that will encompass both heaven and earth. Restitution is a central theme of the Bible! It answers all the questions we have about what God is doing. Restitution has been spoken of by all of God's holy prophets (Acts 3:21). 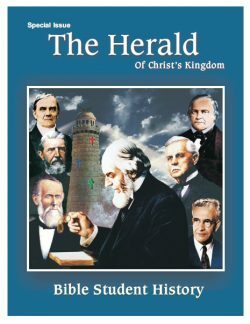 The work is important enough to be spoken by all God's holy prophets. Looking at how it was demonstrated in Job, after his bitter struggle with tragedy and disease, he was restored twice as much wealth as he had before and he was given 10 new children. This is a picture, a small sampling of the great restitution that the world will experience. The perfect conditions that were in the Garden of Eden will be restored and the earth will become a paradise that all can experience and enjoy. "The wilderness and the solitary place shall be glad for them; and the desert shall rejoice, and blossom as the rose... Then the eyes of the blind shall be opened, and the ears of the deaf shall be unstopped. Then shall the lame man leap as an hart, and the tongue of the dumb sing: for in the wilderness shall waters break out, and streams in the desert... A highway will be there, a roadway, and it will be called the Highway of Holiness... the redeemed shall walk there: And the ransomed of the LORD shall return, and come to Zion with songs and everlasting joy upon their heads: they shall obtain joy and gladness, and sorrow and sighing shall flee away." Isaiah describes restitution of this earth! It will be a time when all mankind will learn to walk in righteousness. It will be a time of learning and character growth when God will no longer hide Himself. The whole earth will be filled with the knowledge of the Lord (Isaiah 11:9). People will learn to care for and to serve one another and our Heavenly Father. 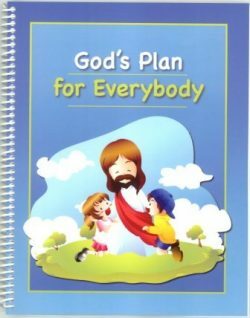 So through the unfolding of God's plan we can now know why He seems to be indifferent. But the truth is that He's not indifferent! In fact, just the opposite is true. These wonderful prophecies about restitution show us what He has in store for mankind. 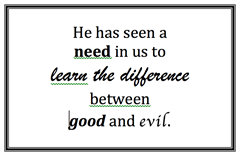 But, as a wise Father, He has also seen a need in us to learn the difference between good and evil. Only then can we, as a race, learn to trust God and to appreciate His goodness and to come to love righteousness. "For his anger endureth but a moment; in his favor is life: weeping may endure for a night, but joy cometh in the morning." (Psa. 30:5) Through the revealing of the New Testament we now know His plan, not because we're better or smarter than Job, but because, as Paul said, the time is ripe for these things to be revealed. So how do we fit in as Christians? The Scriptures tell us that faithful Christians will receive a heavenly reward. 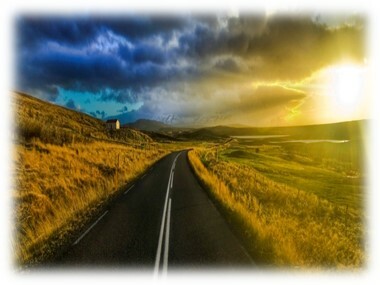 Jesus said, "…If I go and prepare a place for you, I will come again, and receive you unto myself; that where I am, there ye may be also" John 14:3. But our destiny isn't to sit on a cloud and play harps. There's a work to do, and that work will involve the training and education of mankind. All the lessons we learn in this life, as Christians, will be needed as we work with a world that has only known sin and corruption. 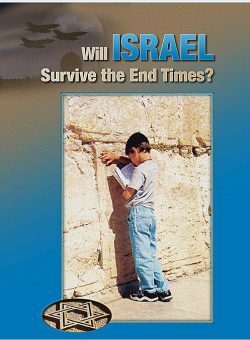 In the earthly kingdom mankind will be given the opportunity to learn and to trust in God in the Millennium, the 1,000 years mentioned in Revelation 20. Those who learn the lessons and develop good Christian characters will be granted eternal life, here on earth. We remember the words of Jesus as he taught the disciples to pray, saying, "Thy Kingdom come, Thy will be done, on earth as it is done in heaven." Matt. 6:10. God loves you and He has a plan to bless you for all eternity. But first, we must learn what this life must teach us, so in the end we will have a stronger faith in God and come out as refined gold.